Nose : red apple skins, vanilla, stewed apricot, and apple crumble mini cakes, coconut and some sweet syrup, ginger and more sugar. Quite rich and honeyed. Not a bad start! Palate : sweet, oily and thick Ruth heavy golden syrup, stewed apples, white pepper, ginger bread and a nutty feeling as well. Some wood tannins, earth and musty wood, caramel cakes and toffee bars, and more pepper along with blood orange. Good balance and lovely deep mouth feel. Finish : dark chocolate, cocoa and a touch of sweet syrup, bitter oak. A very lovely whisky indeed, nice fruitiness and some nice oak to balance it all. 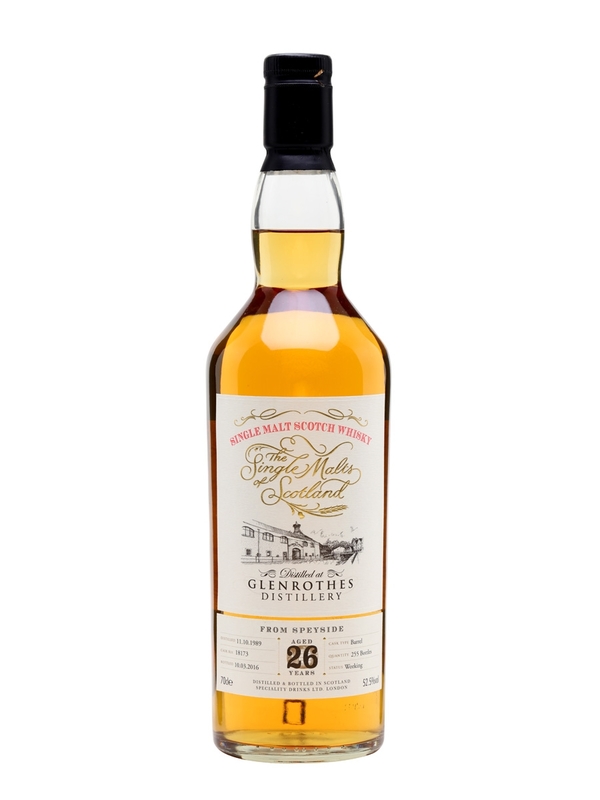 Not the Best Glenrothes of all time, but certainly a worth considering as a nice example for well aged Glenrothes. Sadly it seems to have sold out already on the TWE site.